Hazel was @SpeciesofUK from 13th to 19th January, 2014. 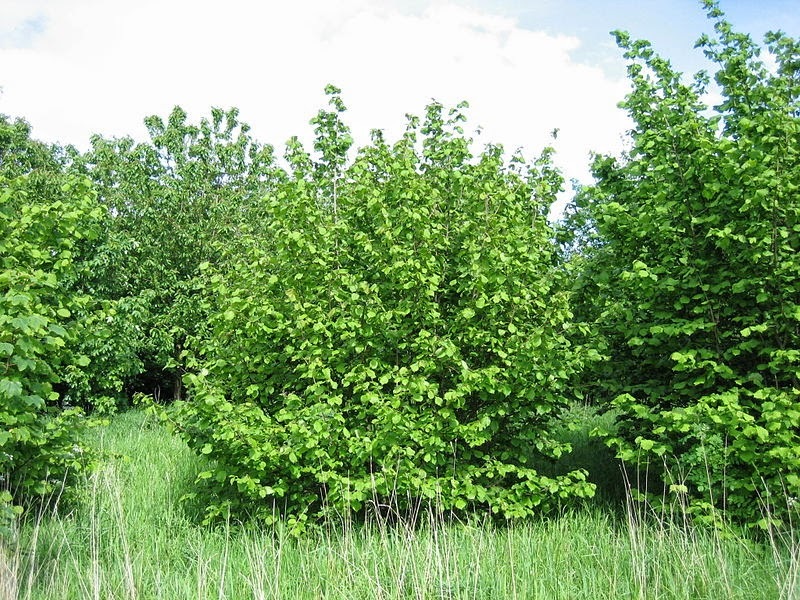 Hazel is a common tree traditionally used in the UK in hedgerow field boundaries. 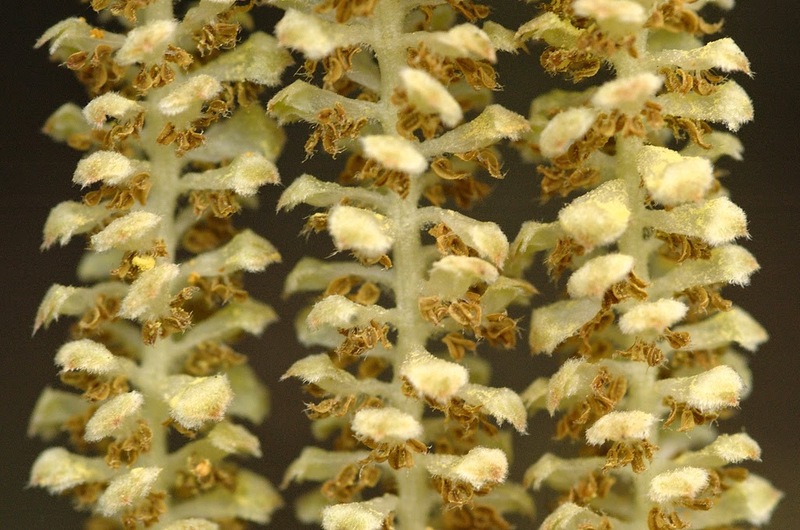 It is famous for its spring catkins, and its hazelnuts! 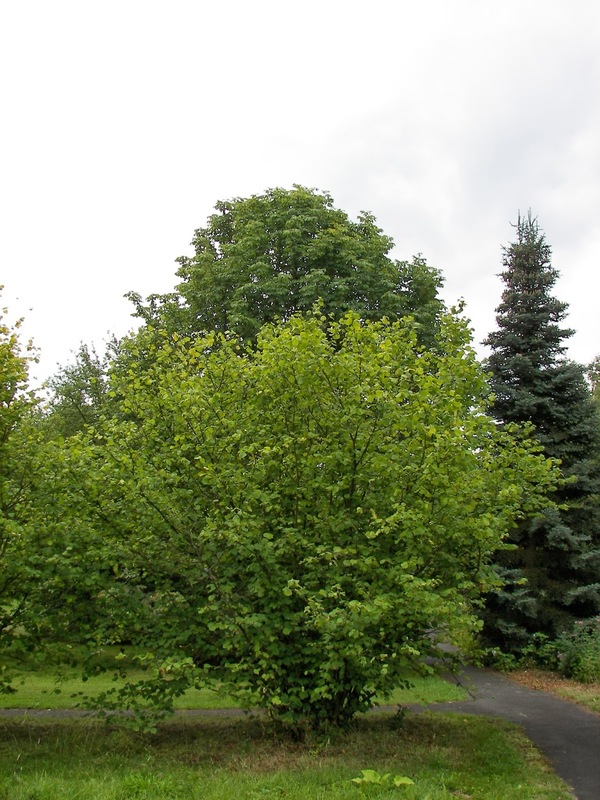 There are several species of hazel around the world. The common hazel is native to Europe and W Asia, from the British Isles to the Urals, and from the Mediterranean to Scandinavia. 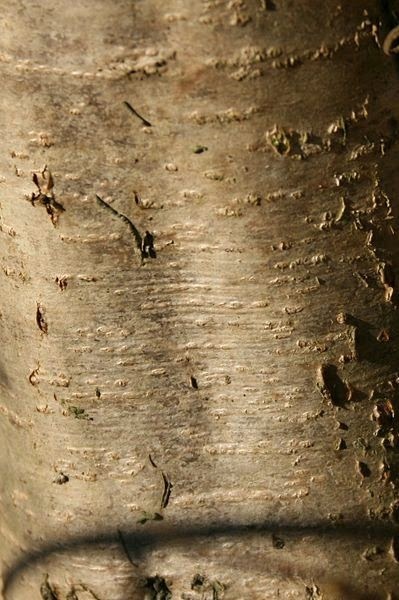 Hazel belongs to the birch family of trees but it's sometimes described as a bush as it tends to produce several 'trunks' rather than just one. Hazel is not huge. It usually grows to about 6m tall by 3m broad, sometimes as high as 10m. 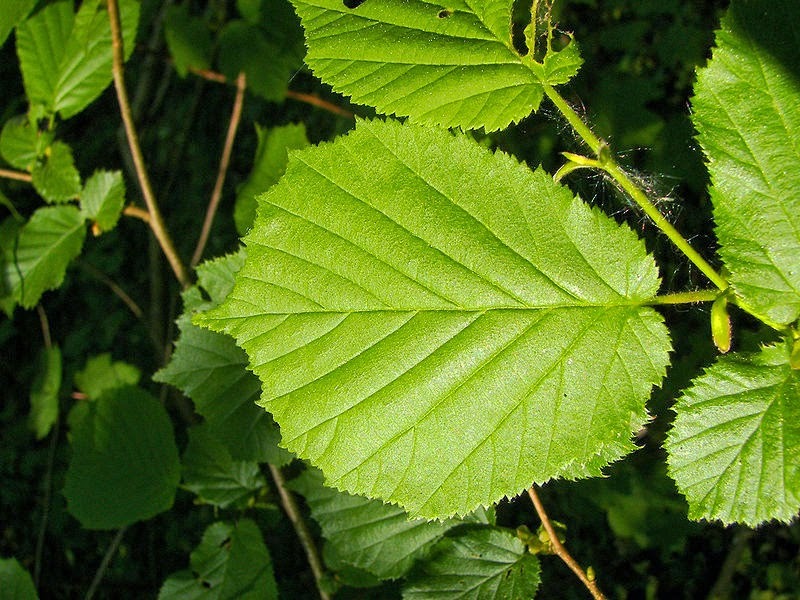 Hazel typically appears in woods and hedgerows. It seems to favour being on the slopes of hills, often on calcareous (chalky) soils. Hazel responds well to being coppiced. 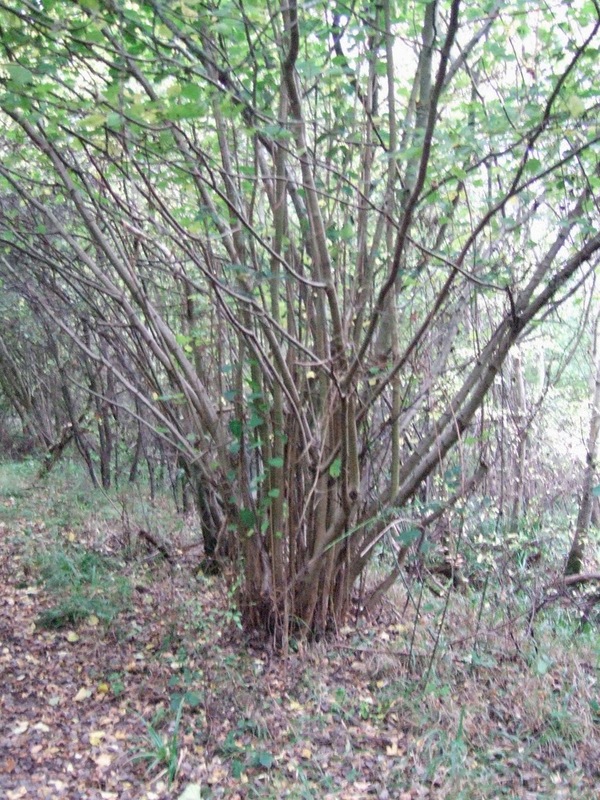 The normal lifespan of hazel is a short 70–80 years, but it can easily get to several hundred years when coppiced (regularly cut back to the stump). Only certain trees respond well to being coppiced. 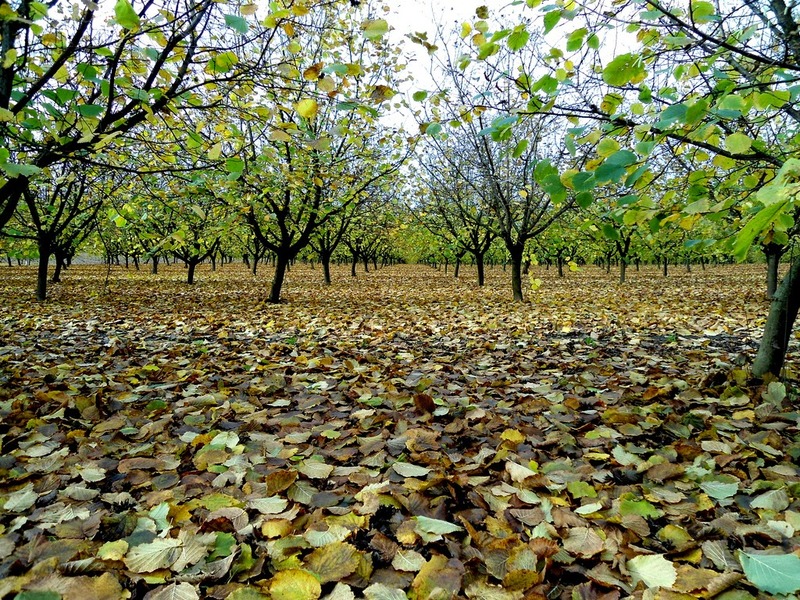 Hazel is one of a select group alongside others including ash, sweet chestnut, alder, willow and oak. Hazel has brown bark which is sort of shiny and peels in horizontal strips. Hazel leaves are roundish, have distinctly serrated edges, and grow to 10cm. They are covered in short hairs, as are the twigs. 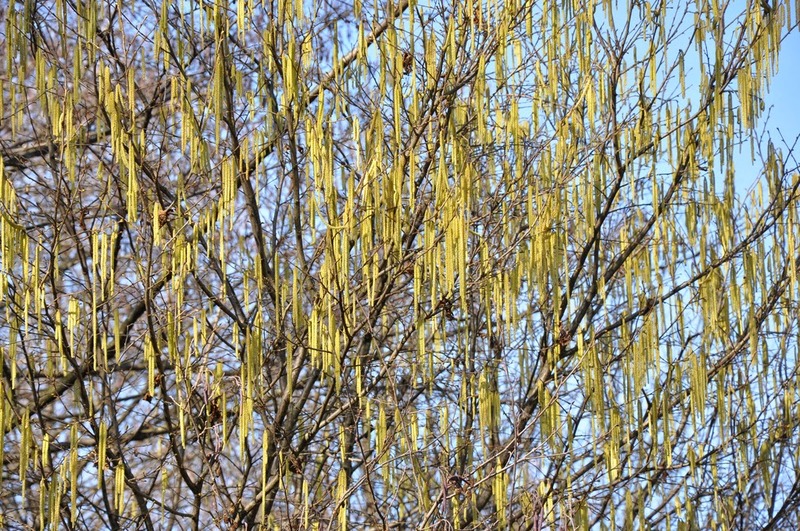 Hazel is famous, and rightly so, for its catkins. 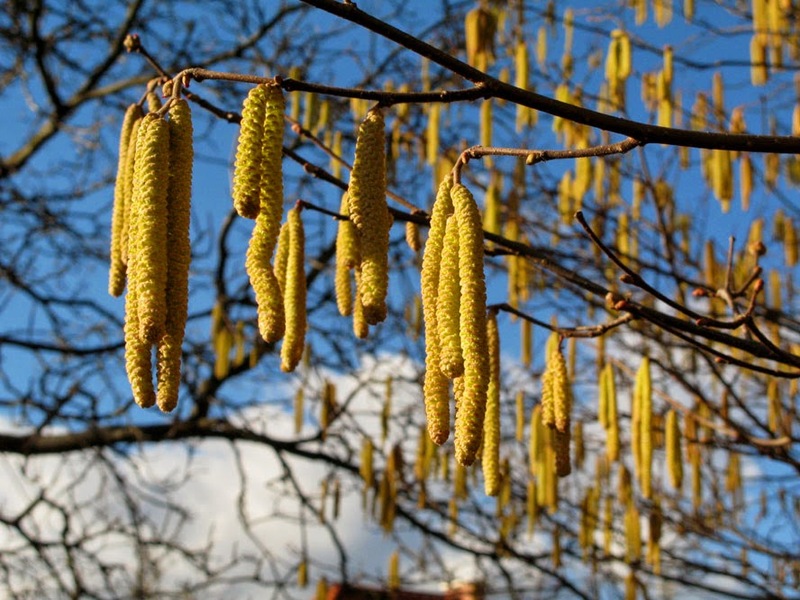 The catkins are the hazel tree’s male flowers. They are pale yellow and appear in some numbers. 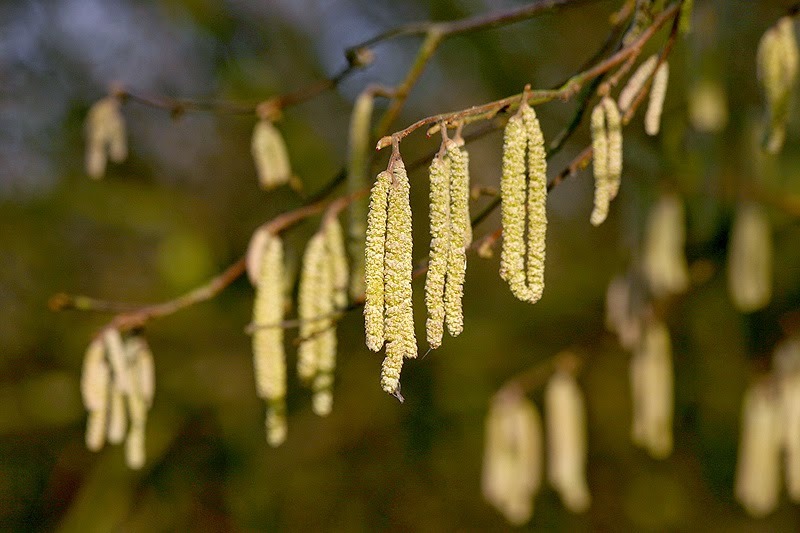 Hazel catkins are known as 'lamb-tails'. They appear in February when most other trees are leafless and flower-less so they really stand out. 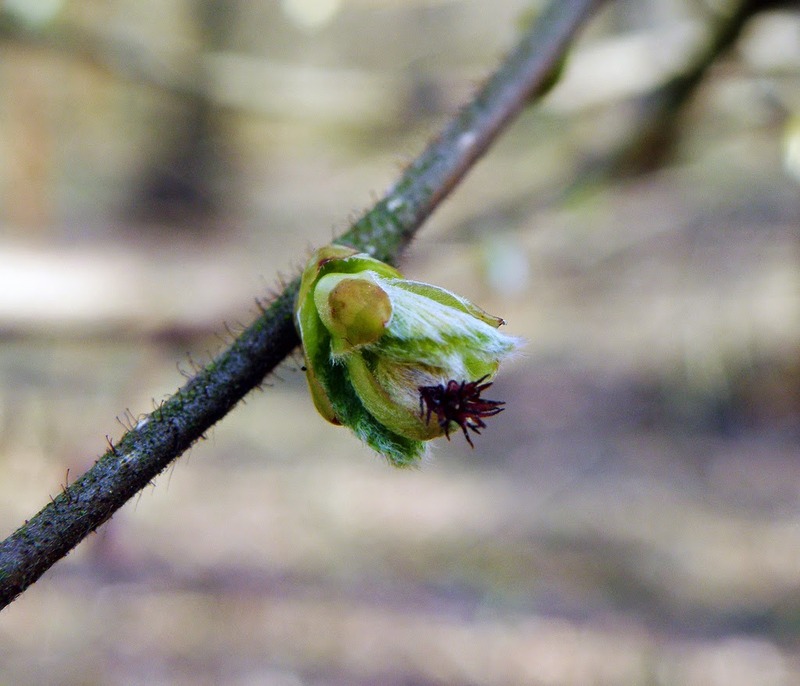 Female hazel flowers appear on the same branches as catkins. They are just small red tufts but it’s these that will develop into hazelnuts later. 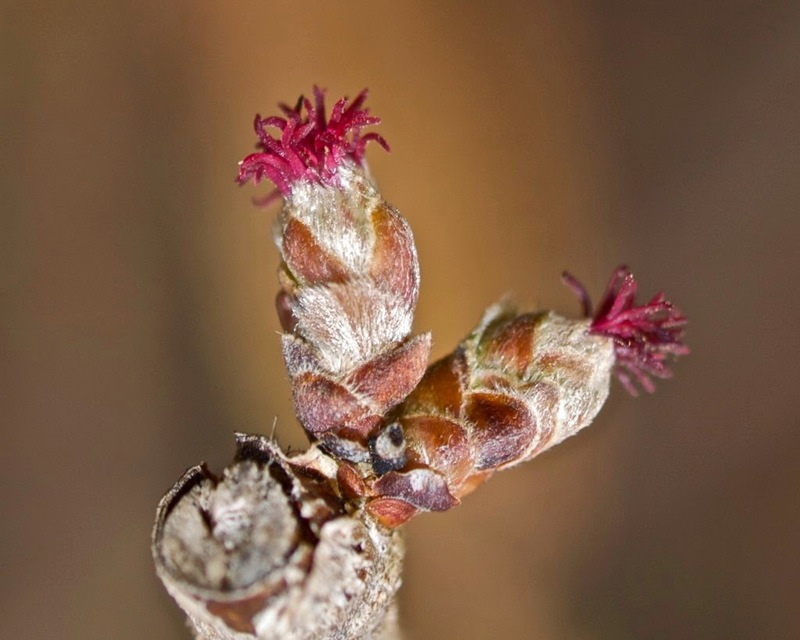 The reason for the difference in the appearance of the male and female flowers is that hazel is pollinated by wind. The pollen on the male flowers needs to catch the breeze. Hazel and its cultivars are popular shrubs for gardens. 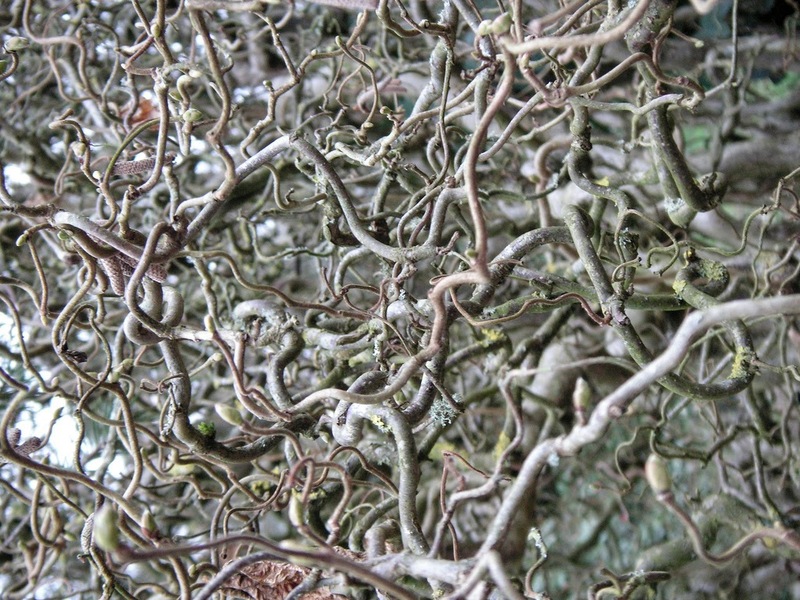 A well known hazel cultivar is Corylus avellana 'Contorta' which has highly contorted branches. 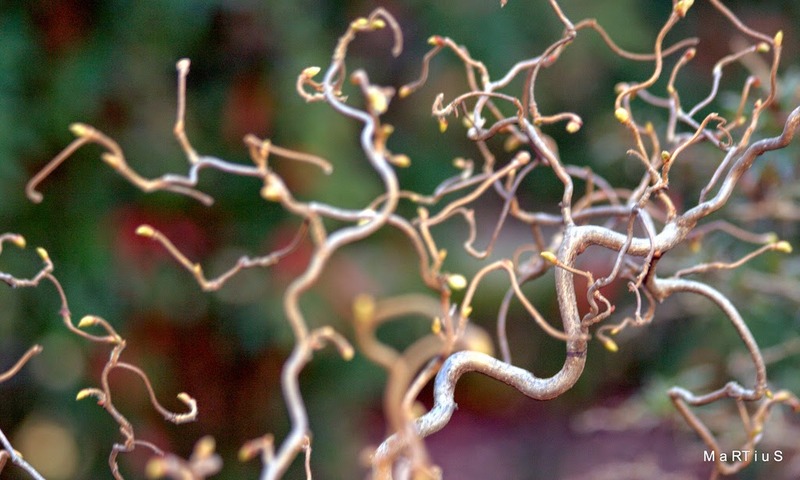 'Contorta' is also commonly known as corkscrew hazel or Harry Lauder's Walking Stick (after the Scottish entertainer who used a twisted walking stick). But what about the hazelnuts!! 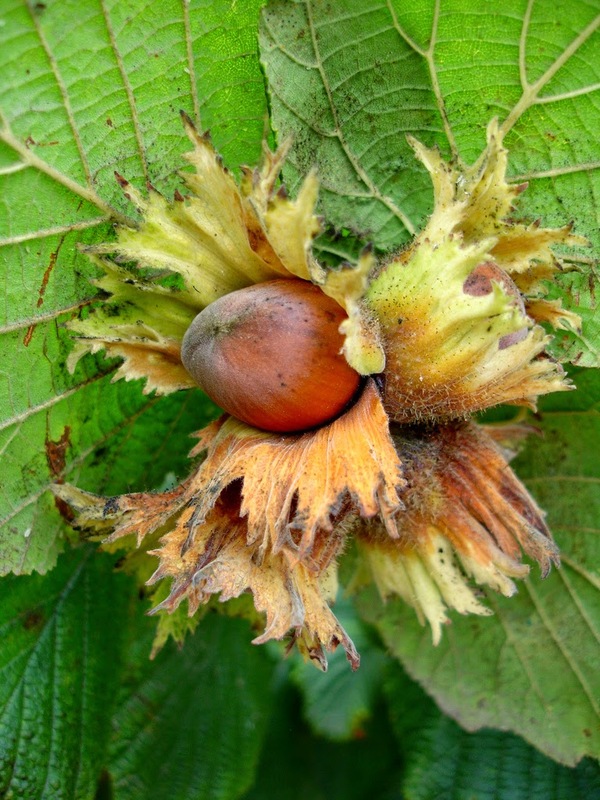 The name hazelnut applies to the nuts of any of the species of the hazel genus. The nut is the kernel of the seed and is edible raw or roasted. 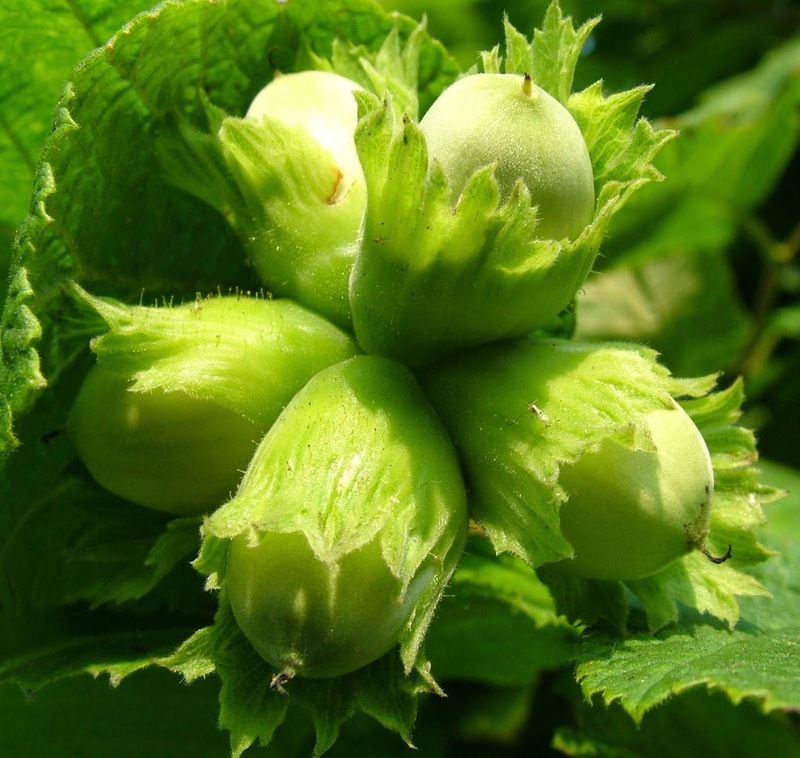 Hazelnuts grow in groups of up to four. They grow to about 2cm and are sheathed by papery modified leaves. 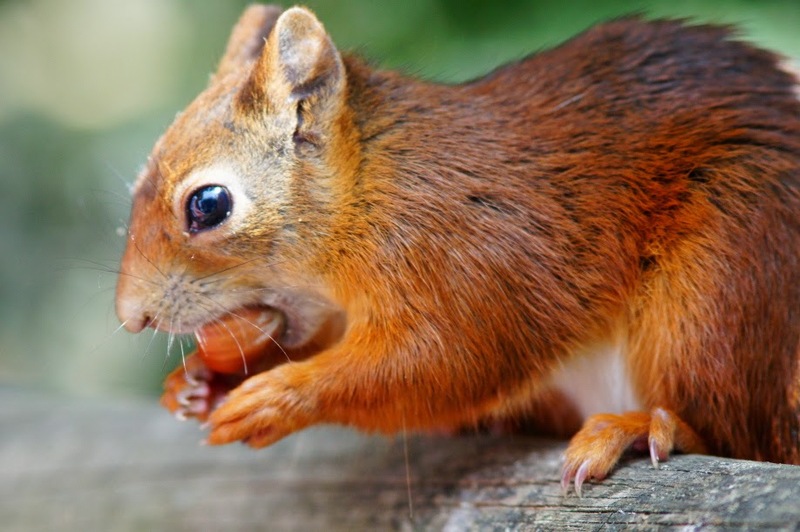 Hazelnuts are an important food source for squirrels, woodpeckers, dormice and wood mice. These animals help the hazel as some hoarded nuts will germinate. 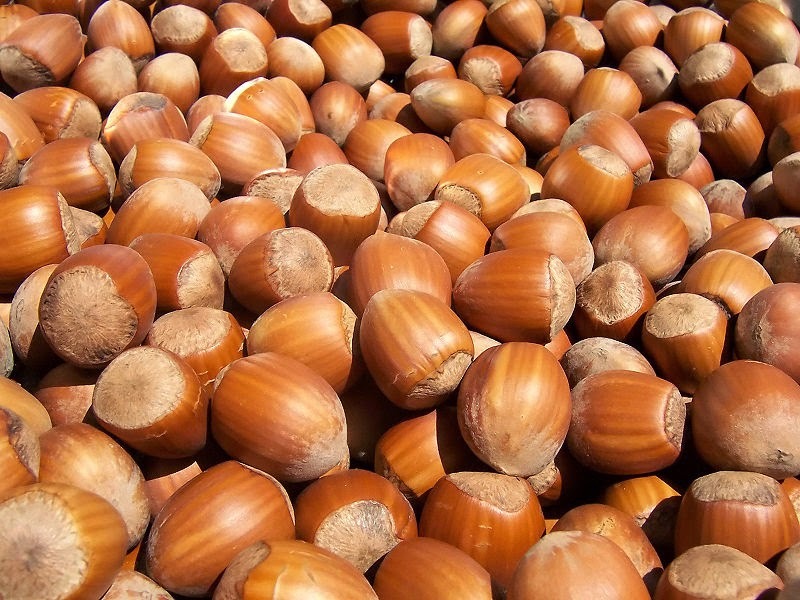 Most cobnuts grown in the UK originate from the so-called 'Kentish cob'. 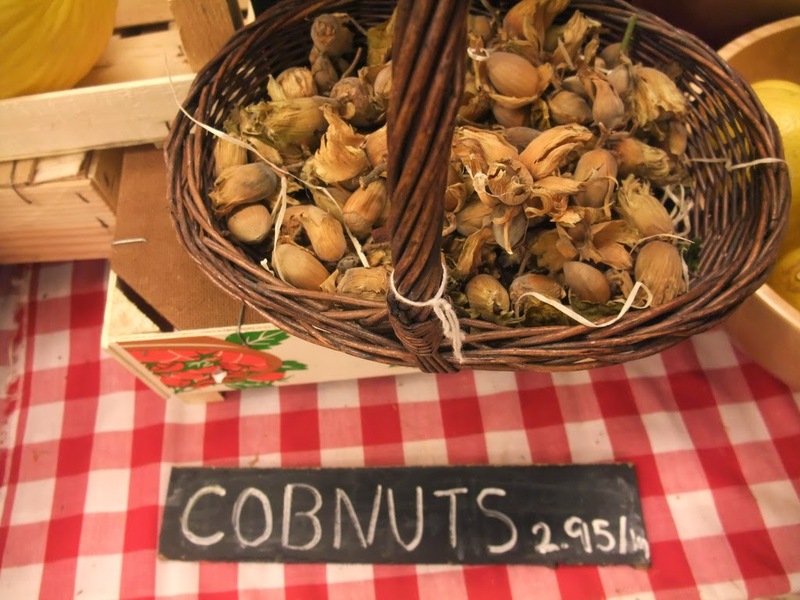 Here is a neat article on cobnuts. 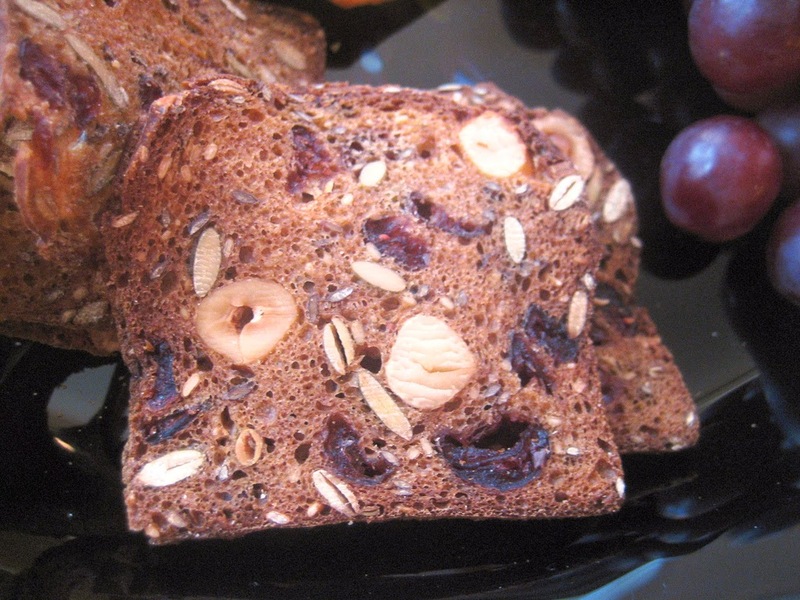 You might also hear of the 'filbert nut.' Like the cobnut, this is also a cultivated hazel nut, but from another hazel species, Corylus maxima. Cobnuts have a short husk from which the nut protrudes, whereas the husk of the filbert is long and covers the nut. 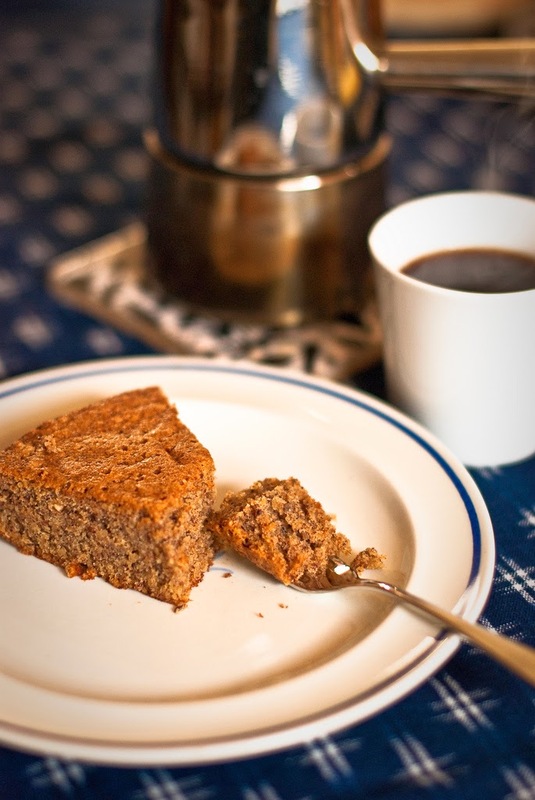 Hazelnuts were an essential part of the diet of prehistoric humans. Handy for monounsaturated fat. And they’re still eaten today. Research suggests hazelnuts reduce your risk of cardiovascular disease. They're full of useful things like Vitamin E, magnesium and copper. They are used in breads, cakes, biscuits, sweets, and many other foodstuffs. A clear yellow edible oil can be obtained from hazelnuts which is used in salad dressings and baking. 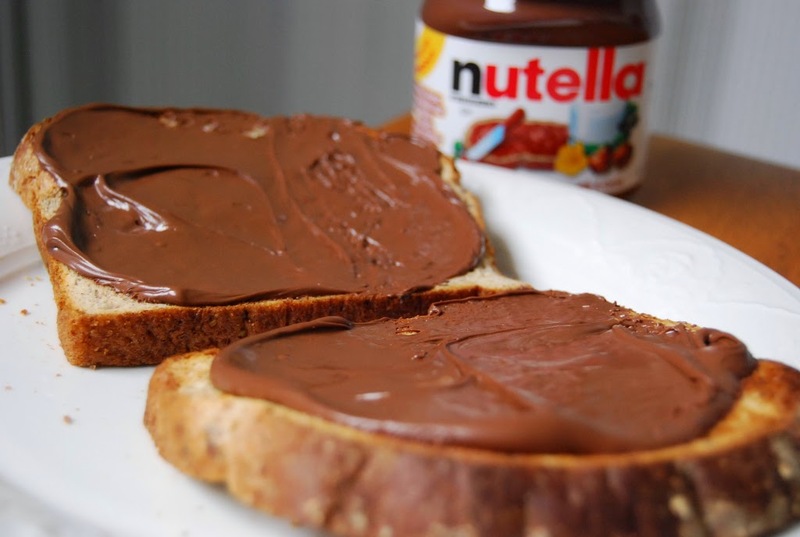 Oh, and don’t forget Nutella! Over 50 hazelnuts per jar. And hazel has many other uses too. Hazel is an important hedgerow plant and was traditionally used along field boundaries in lowland England. 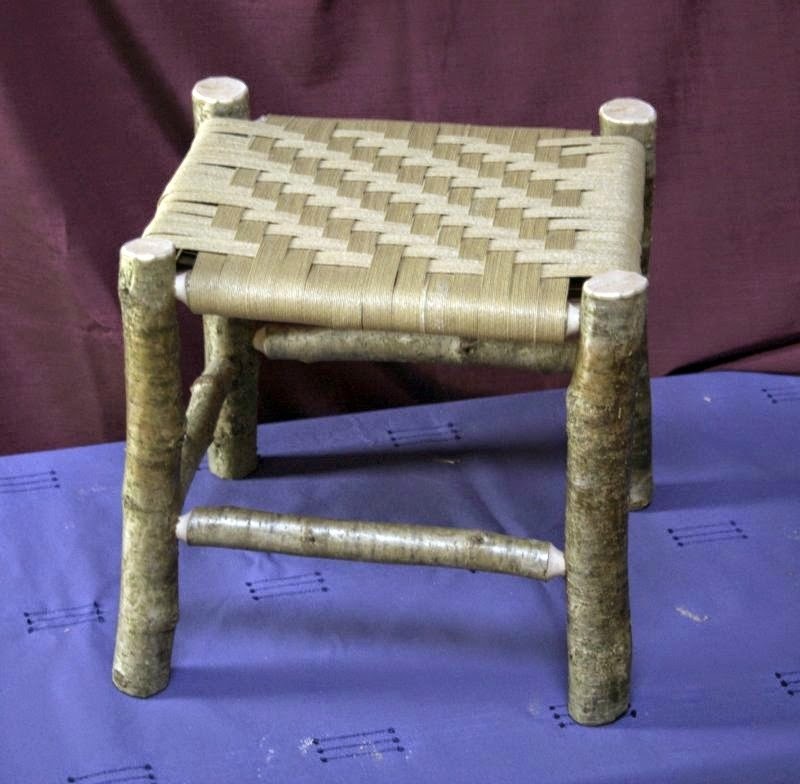 The poles created from hazel coppicing were used for wattle-and-daub and fencing. Hazel wood is not very strong but is beautifully veined, so it gets used for inlay work, basketry and small pieces of furniture. 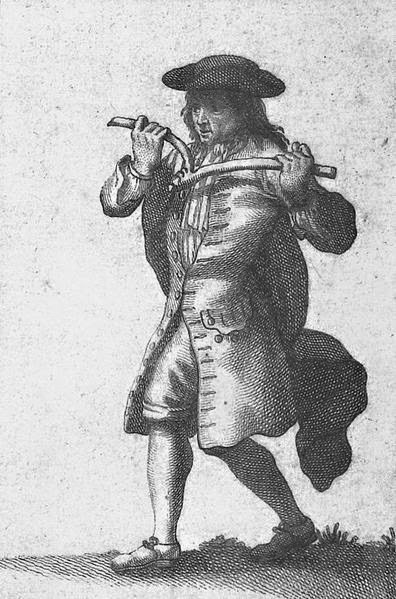 Hazel twigs are apparently used as the wood of choice for dowsing rods by water diviners. Hazel wood yields a high quality charcoal, which is used by artists. 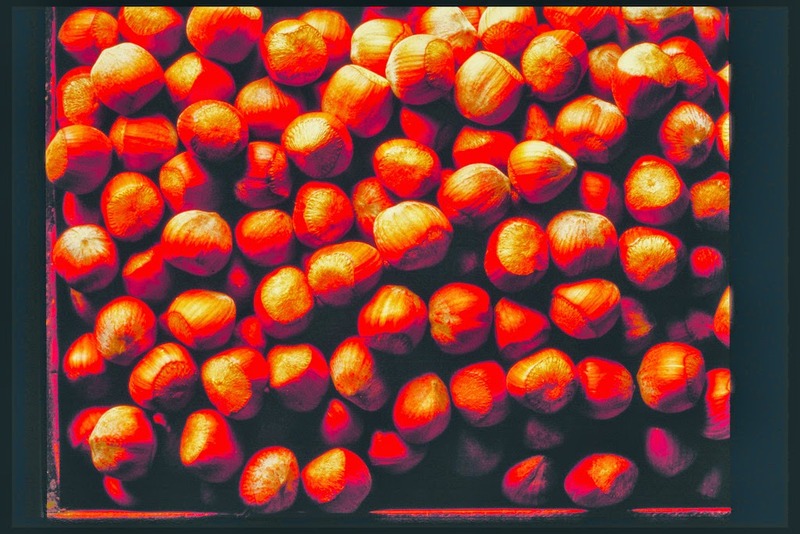 A non-drying oil can also be produced from hazelnuts which is used in paints and cosmetics. 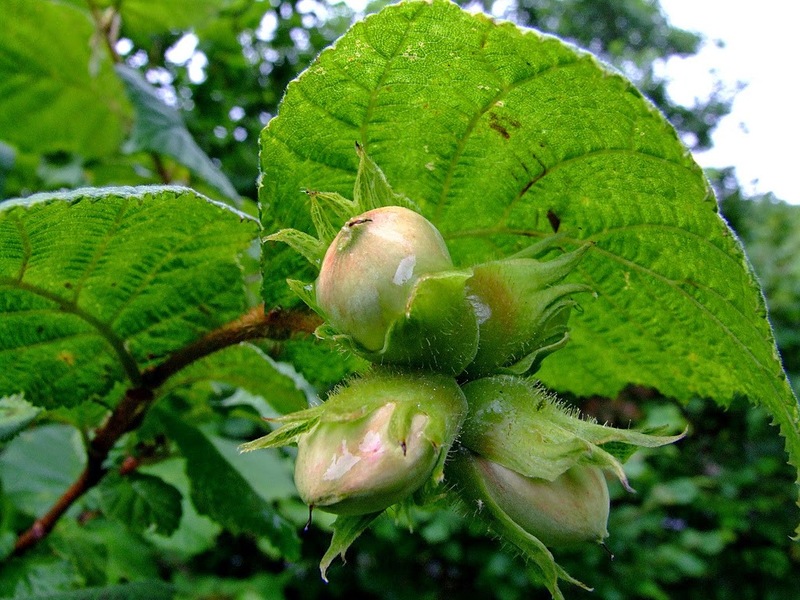 The name 'hazel' derives from Anglo-Saxon 'haesel' meaning cap or hat, which refers to the papery cap of leaves on hazelnuts.